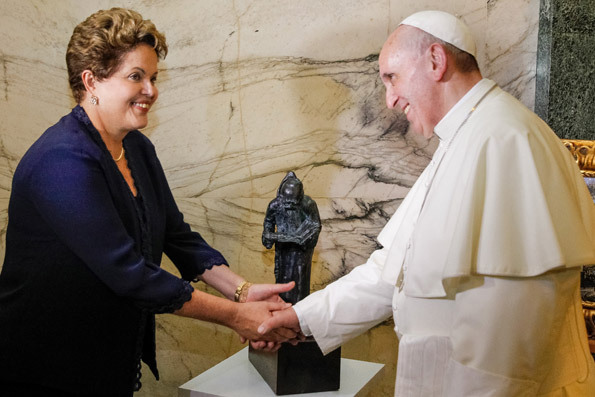 On a visit to Curitiba, last year, the curators of the collection presented the work to the President, who was delighted with the bronze sculpture. 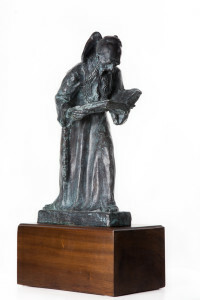 A bronze sculpture 44 centimeters high, weighing 22,5 kgs, depicting a friar reading a book was chosen as an official gift from President Dilma Rousseff to Pope Francisco I. The exchange of gifts is a protocol of the meeting between heads of State. The work of the artist from Paraná, sculptor João Turin, who died in 1949, was made in the first half of the 1930s. © 1996-2014 All rights reserved to Infoglobo Comunicação e Participações SA. This material may not be published, broadcast, rewritten or redistributed without permission.